Like your neighborhood superhero, we love coming to the rescue with memberships tailored to your needs. Whether you’re learning for the first time or need a refresher, you can rely on the driver training experts. What type of insurance are you shopping for? Find savings at over 120,000 merchant locations across the country. Earn unlimited points that can be redeemed toward your next AAA purchase or vacation! At some point, almost everyone will be a pedestrian. August is Pedestrian Safety Month, making it an excellent time to learn how to keep pedestrians safe when driving and walking. Geocaching is an excellent activity for kids and adults, and can be done individually or as a group. There are over 3 million active geocaches worldwide, with over 8,000 around Minneapolis. Are You Getting the Best Insurance? 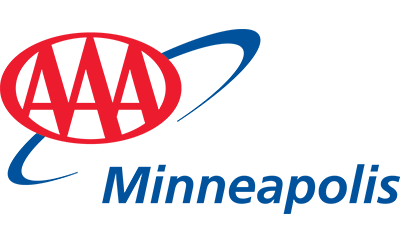 AAA Minneapolis serves Hennepin County, and parts of Columbia Heights, Hilltop, Fridley, & Spring Lake Park. If you live in a different area, find your local AAA club website.